A holiday by the beach is always a good idea, but certainly summer time and those long hot days by my work place are the time of the year when I long for the cool blue of the ocean the most. Nothing beats leaving the sticky heat of the city behind, and leaving for a breezy adventure on a Greek island, the Caribbean or even South East Asia. The perfect beach bag is hard to come by – big enough to fit one or two towels, sun lotion, a book and water bottle, water- and stain-resistant, comfortable to carry, and of course a cool design. 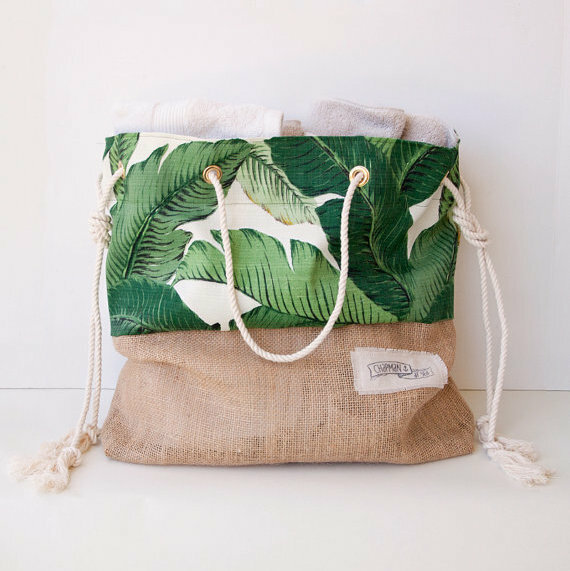 I’m absolutely in love with anything in theAtlanticOcean shop, but I think this large canvas tote bag with banana leaf print is my favorite pick. There is nothing like a bright summer dress on a hot summer’s day by the beach. You can feel the breeze around your legs and you can quickly and easily slip it on and off if you decide to take a dip in the ocean. It is the easiest piece of clothing to take on your holiday. I’m in love with short-sleeved dresses with a loose fit, and can’t wait to book the holiday which will allow me to order this oversized maxi-dress and this quite simple, yet very special linen dress. Some shop for unique dresses or skirts, others – like me – can’t keep their hands off vintage accessories, especially sunnies. I have developed a serious addiction to round shapes, mirrored glass and golden details, and buy them whenever I can get my hand on a nice pair. My current favourite is a reproduced model from the 1980s and costs only $16 – a no brainer, if you ask me! Maybe it’s a sign of age (haha), but I’m quite fed up with bikinis. I have been dreaming of owning a beautiful bathing suit for quite a while now, but it’s simply not so easy to find a cute one, that is affordable and classy. 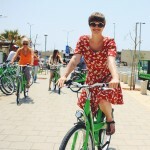 Then I discovered the Israeli label BEACHAwear and fell in love. There are so many different shapes and colour combinations, it’s hard to decide! 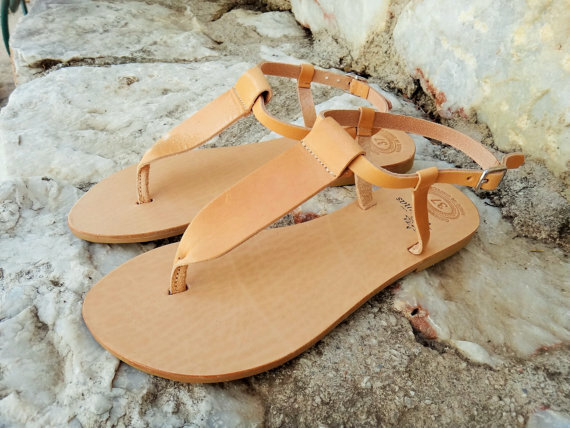 There’s nothing like leather sandals to make you feel like a Greek goddess strolling down the lonely, pebbled beach on a hot summer’s day. A new pair of sandals belongs to summer like a strawberry daiquiri, and these flip flop/sandals by Greek designers Twiniñas would surely look good on my feet. Surely, summer beach holidays are all about forgetting the stress and pressure from home, and along with that, time itself. But how is one supposed to know when happy hour starts and at what time to hurry to the beach for a sundowner? 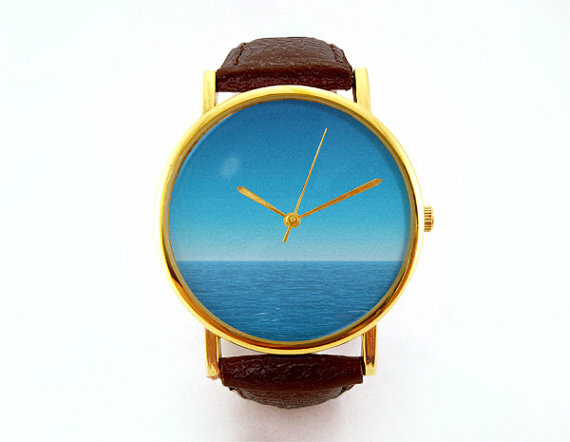 On this minimalist watch it’s always ‘sea-o’clock’, and it costs $14 only! Ever since I got a toe nail at a silver market in Pushkar, India, I can’t take my eyes of my feet. There is something about the bling that makes my toes look nicer, more delicate. 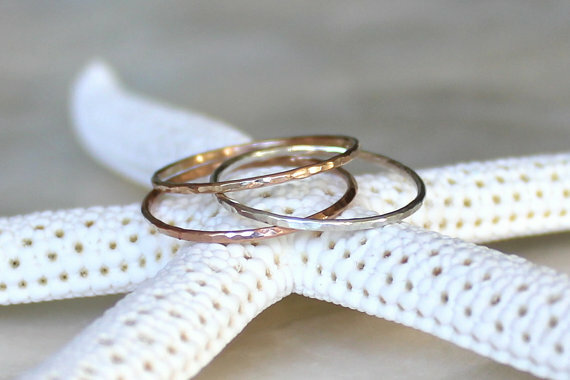 In summer it is often too hot for much jewellery and I can’t stand finger rings when I sweat – but on my toes I can’t feel that! Right now I’m switching back and forth between my left and right foot, but eventually I will have to get more toenails to wear them on both – these thin ones look just right for me. I know, you could just buy postcards at your holiday destination and send them off as souvenirs per mail, but for me, it’s all about writing letters. During my holidays I finally have time to sit in the sand and write down all the things I want to tell the people in my life, put it all in a letter, add a postcard to the envelope and send it all off with a foreign stamp – now if that’s not a souvenir deep down from the heart! 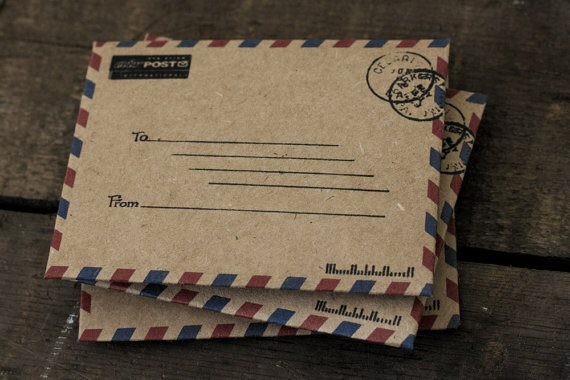 I particularly love this vintage airmail stationary. I sometimes find it hard to deal with extreme heat and humidity, and while a dip in the ocean or the pool usually helps, chlorine or salt water on the skin are not always preferable. In these situations, face spray can do the trick. 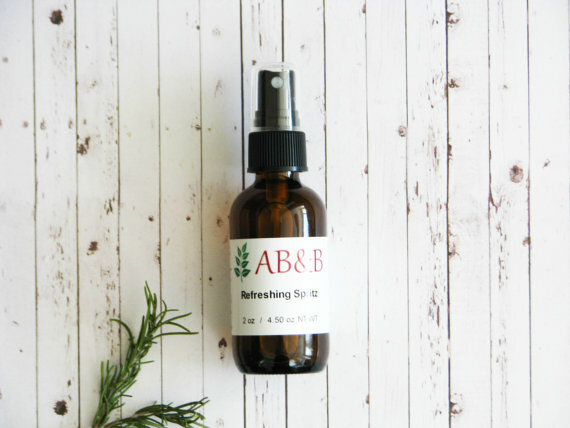 It’s easy to apply and refreshes my skin within seconds (also works wonders on the plane). Ideally it comes in a small bottle, so it fits any bag and hand luggage restrictions. In case you travel to a country with a different currency, I would highly recommend getting a little wallet or pouch for the foreign money. I hate when different coins and bills mix up in my wallet – it takes ages to pay for anything anywhere. I have a lot of different coin pouches, but when I buy a new one nowadays I usually get one that is big enough to hold my cards and ID as well as my passport. 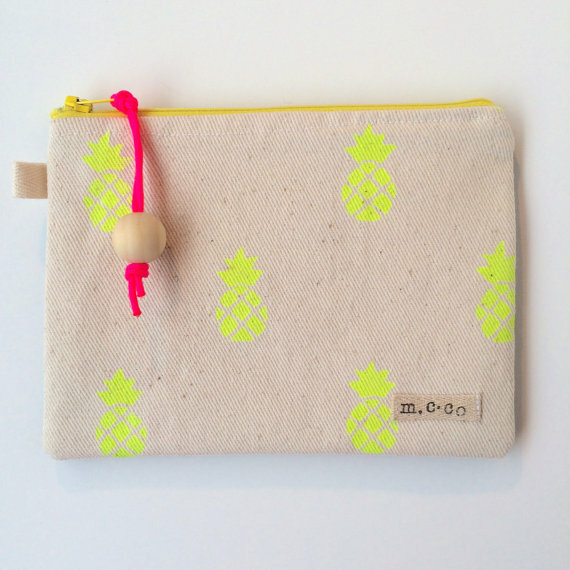 I’m not actually sure, whether this is big enough, but the pineapple print on this pouch is just too cute to ignore. PS: Pouches are also handy to keep pebbles and shells you find on the beach! I hope you all have a summer holiday lined up soon as well, or at least a sunny weekend wherever you live. What do you think about my favorites? 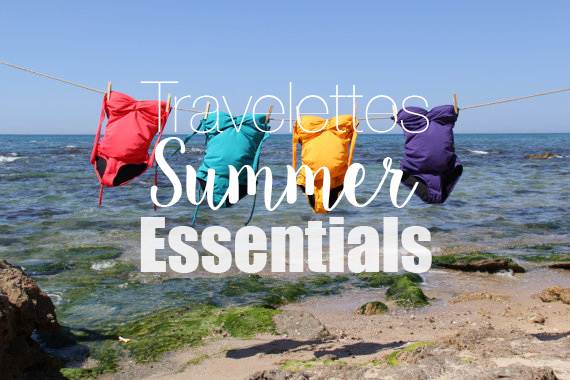 What are your essentials for a summer beach holiday? All photos via Etsy. First photo via BEACHAwear. The last point made me chuckle! After a recent trip to the Isles of Scilly, I now struggle to find coins in my purse amidst the collection of beautiful colourful shells I picked up and stowed away!